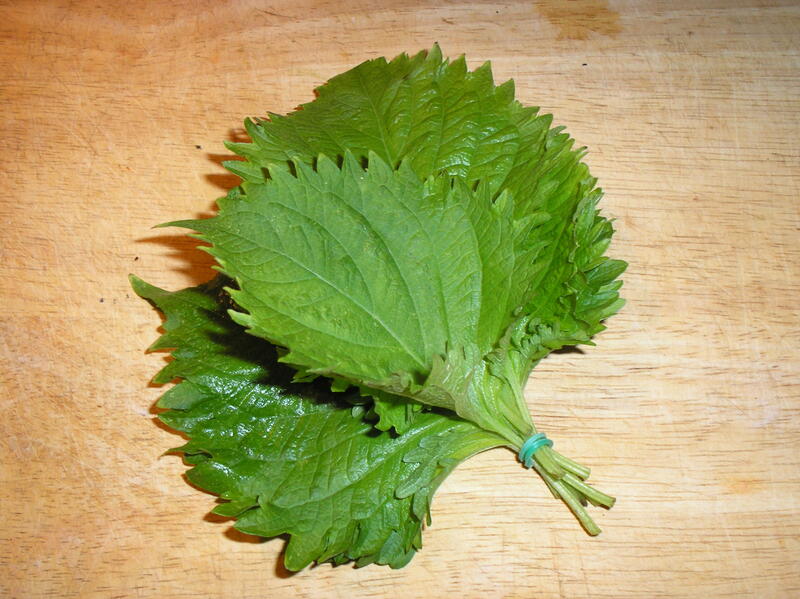 Featured Food: Perilla (Shiso) Leaf | Come Due Maiali / "Like Two Pigs"
At Sakagura we tried it in several variations: as a counterpoint to fluke carpaccio, alongside with salmon roe and plum paste, with silken homemade tofu sashimi, alongside ponzu sauce; all fabulous. Naturally, I was inspired to experiment on my own, and shiso leaves were added to our shopping list at Hana, a unique Japanese grocery store on U Street in Washington, DC. 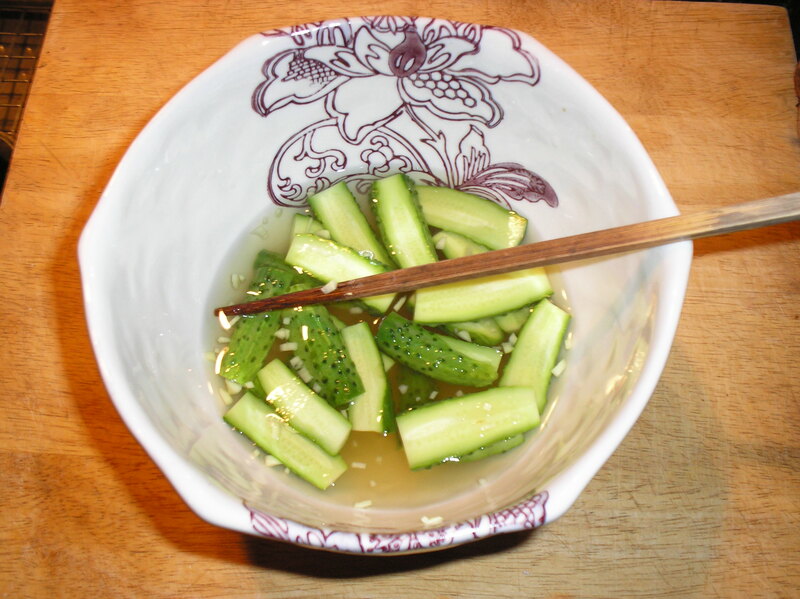 They have a nice selection of fresh Japanese vegetables from local farms, as well as from a Japanese vegetable farm near L.A. (flown in every Thursday). Result: a crisp, mouthwatering palate cleanser! 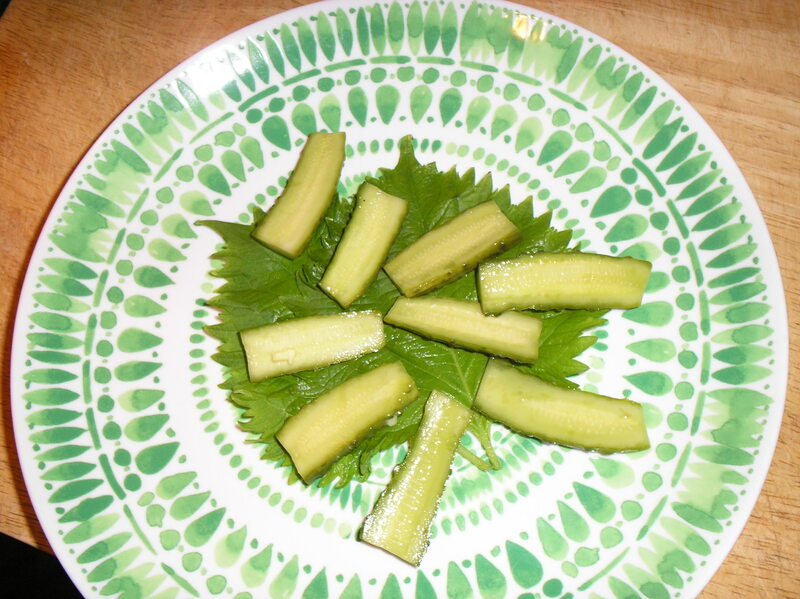 This entry was posted in food & wine, NYC restaurants and tagged food, Japanese, Sakagura, shiso leaf by Come Due Maiali. Bookmark the permalink. Pingback: Fifth Sense | Come Due Maiali / "Like Two Pigs"